Lake of the Prairies: A Story of Belonging by Warren Cariou ~ 2002. This edition: Doubleday Canada, 2002. Hardcover. ISBN: 0-385-25960-3. 318 pages. A quite wonderful book, serendipitously unexpected. It’s only (very small) flaw was the very occasional not-quite-so-engaging historical passage, as Cariou delves into some of the histories of his ancestors. A little flat in those spots, a bit too much like sober research. Cariou quickly returned to his engaging anecdotal style. Very close to the perfect 10 of my ideal reading experience. And it was a real surprise, this one. It was randomly chosen from the non-fiction stacks in close vicinity to the L.M. Montgomery biographies I was browsing, and I almost returned it without reading, due to the present supremely busy busy-ness of my life. However, quite fortuitously, I had a few minutes to fill while on hold on the phone, and this was the first thing I could reach, so I opened it up for what I assumed would be a mere few moments of casual browsing. Once started, I could not stop. It was much too good to put down unread. It’s taken several days to get through it, reading a chapter here and there, over lunch and tea breaks, but I was never tempted to abandon it, and found it very easy to jump back into each time. A hole in the legs. You were named for the doctor who delivered you. From here. You’re from right here. The town of Meadow Lake, the province of Saskatchewan, the country of Canada, the planet of Earth. Just down the street at the Meadow Lake Union Hospital you were born, and we lived in the Carter Apartments until you were one, and then we moved to this house, and you grew like quackgrass in the backyard. And that’s the story of you. A beautifully written personal memoir, and a loving, often very funny, sometimes almost unbearably poignant, but never soppy ode to a town, region, and most importantly, a father and a family. As I was reading I found myself nodding in complete recognition of scenarios so many times. Flipping to the front of the book and examining the author’s information, I was not at all surprised to see that the author was born in 1966, only a year or so later than me; some of his memories of a childhood in rural Saskatchewan are stunningly similar to mine in rural B.C. I too grew up along the rural fringes of a working class town. Cariou’s Meadow Lake and my own Williams Lake could almost be twin communities, though separated by an immense stretch of Canada. Northern towns, in relation to the cities hugging the 49th parallel, though not, of course, truly northern in a geographic sense, both being situated mid-province. North of us both the true bush country starts. My town too had its fabulous (in every sense) rodeo, growing from a venue for the local cowboys to show off and celebrate their machismo and skills to another points-and-cash-prizes stop on the long summer tours of the professional rodeo circuit. Timber and ranching built and maintained both of our towns. 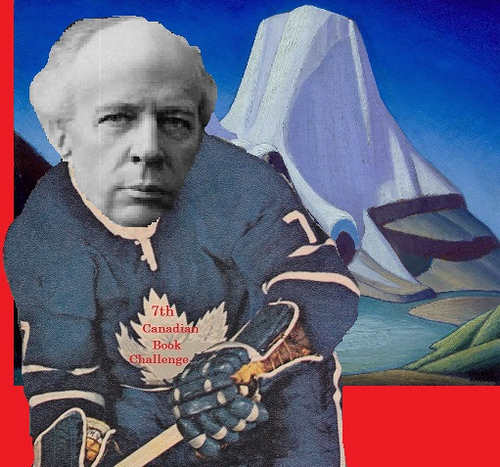 His town had the Cold Lake military reserve, mine had Riske Creek. His town and mine were – are! – a mix of “white people” – various European and pan-Asian bloodlines – and “Indians”. Meadow Lake is Cree territory; Williams Lake straddles the Carrier-Chilcotin divide. The Indian kids chased the white kids in my schoolyard too, chock full of resentment for their demeaned social status of members of the oppressed race, the children of the reserves. Now, forty years later, the whites in both of our towns take open pride in their occasional Indian ancestors, basking in the trendy new cool status of First Nationhood, while in reality not much at all has changed, and the cultural divide betwen the races is as brutally deep as it ever was, with the occasional personal exceptions of individual friendships. Perhaps this is why I identified so strongly with Cariou’s memoir; the parallels are strong in that and in other ways as well. Even when our general experiences diverged, as they did widely here and there, I remained fully engaged. This writer has a compelling voice. Discovering as a young man that he was of Metís heritage, Cariou writes of that, and of how it changed all of his perceptions as to who he really was, where he really came from, and it is these passages which seem to have caught the attention of reviewers, making this out to be a book about First Nations identity. It is, and it isn’t. There is no soapbox here, no grandstand. It remains a deeply personal story, and it feels genuine from start to finish. Those of us “whites” who grew up in similar settings through the ’60s, ’70s, and ’80s know exceedingly well what he is talking about, about our conflicted emotional relationships with the natives whose land we – the ancestral we as the descendants of immigrants and pioneers – have taken over as our own. The reserve kids huddled at the back of the bus and the classroom, whispering together in indecipherable dialects, peering at the rest of us with well-deserved gleams of pure hatred, and we recognized that, both the fact of the hatred and the reasoning behind it, and were terrified. Here was something bigger than us as individuals, and older, and more elemental. We’re still pretty scared, us grown-up white people, though we frequently hide it behind carefully political correct words – notice how I am now well-trained to put “Indian” in quotations, even though the “natives” I personally know call themselves “Indians” with no ironic inflection – and a superficial acceptance and celebration of “First Nations” and “Aboriginal Pride”. Cariou captures that dichotomy brilliantly well. This is such a small part of the narrative, though it does run through the entire book, as it rightly should. The majority of this memoir is personal reminiscences, gloriously focussed on Cariou’s father, and on the large extended family which sheltered and comforted and challenged and formed its younger generations, sending them out into the world to their various adult destinies with an ever-changing but ultimately supporting familial story behind them. I loved that atmosphere in this book. Cariou lovingly celebrates his family while fully recognizing their flaws, not always an easy task for a writer to pull off. He succeeds. Here is a short excerpt from an early chapter that made me laugh out loud in joyful recognition. Holey gumboots and bread bags – oh yes, indeed! I have waded joyfully in those as well. “Flamingoed” – brilliant! We stomped in puddles, waded across ditches, created little rivers between puddles, and sometimes made dams on the trenches that our parents had dug for drainage. We spent most of our time in rubber boots, which were largely ineffectual because either they were full of holes or we waded too deep in the puddles. Sometimes for whole summers we would have to put plastic bread bags on our feet before pulling on our boots. McGavin’s Bread bags were particularly popular for this. But they were prone to leaking, and worst of all, they made your feet slide around inside your boots, which were therefore more likely to slip off at the worst possible moment. The lost boot was a familiar sight: a kid standing one-legged, his bread-bagged foot held out tentatively, balancing himself there and staring back at he empty boot embedded in the muck. It was so common and so comical that we came up with a name for the predicament. And here are excerpts from two reviews. 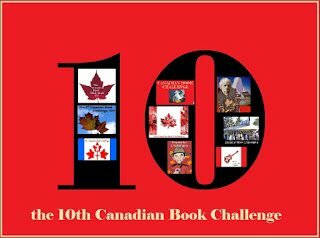 This first is by Allan Safarik, from the Books in Canada website. 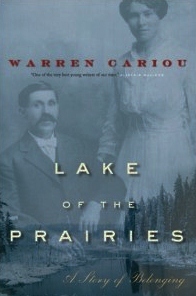 Warren Cariou’s Lake of the Prairies is a beautifully written memoir about time and place and the nostalgia of a childhood growing up on the edge of the northern prairie in the parkland, a relatively uncelebrated area of Saskatchewan that is mostly dense forests, muskeg, rocky outcrops, marshes and lakes. Cariou’s maternal grandparents were immigrants who came to the harsh country near Meadow Lake and carved out pasture from the raw treed land. His family sank their roots into the place and Cariou grew up with his family legacy, particularly as remembered and influenced by his father, still relatively intact. Cariou is a skillful writer who weaves his father’s anecdotal adventures along with his own to recreate a marvelous pastiche …This is a book about nature as much as about anything. [Cariou] has a powerful lyrical way of describing the atmosphere and the details. He is an observer who is wonderfully educated about nature and as he grows up, he tells about his friendships and his adventures in an increasingly wider realm. Cariou has given us a personal story about his family, skillfully injecting a second story about the way people live in his community and how they interact with one another. This incredibly crafted Canadian book might be about South Africa or many other countries. 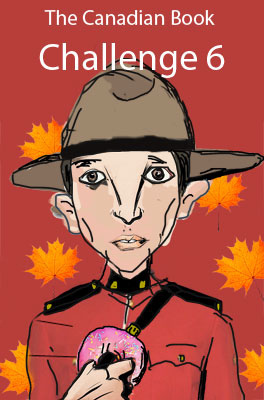 But no, this is Canada. Bustling Meadow Lake, Saskatchewan, a small town with big shoulders. Warren Cariou, in his coming-of-age memoir, writes like a naturalist/historian on a mission from God. The result is a distinctive style, a well-paced tale that leaves nothing out. Lake of the Prairie, a superb memoir about place, is also a powerful document about the human condition. Place, family, history, belonging, home. Drawing on such ordinary words, Warren Cariou begins his memoir of growing up in northern Saskatchewan. The stories he recounts seem familiar: fishing, digging for arrowheads, moving to an old farm, learning about one’s family. But there are also deeper truths in these stories, rooted in hidden secrets, lost for generations. One such story – Cariou’s discovery of his own Metís heritage – is central to the constellation of questions the author raises about identity and knowledge. But there is no thunderclap, no single moment of transition. Cariou’s heritage slowly emerges from his recounting of the stories others tell – his father, his uncles, his aunt, and others in his family. There is little remarkable about his initial self-description; at an early age, he is supposedly from ‘Norwayfrancenglandgermany.’… Interwoven with larger considerations of race and place is the author’s own story of growing up and leaving home. 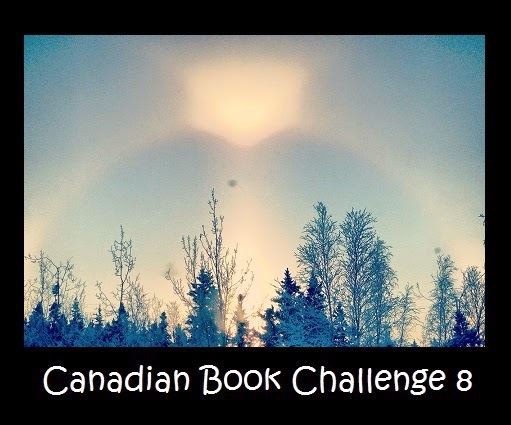 Beginning with his relationship with his parents and uncles, Cariou gradually reveals his own life growing up in Meadow Lake as a youth and then going to university and becoming a writer as an adult. Common life events … help reveal hidden complications of the seemingly easiest questions. Who am I? Where am I from? Throughout Lake of the Prairies it is this sense of gradual revelation that shapes and reveals the landscape of identity, not only of what you know, but also of what you don’t know about yourself. In that, Lake of the Prairies is itself a story being told about our own identities and how we relate to one another – and we would be wise to listen carefully.